Saving water in Australia is something of a national pastime. As residents of the driest inhabited continent on earth we have to do all we can to make sure we aren’t left with our taps running dry, slowly desiccating into dust...Okay maybe that’s a bit dramatic, but saving water is still important. Here are eight tips for saving the wet stuff. Try to always keep water conservation at the forefront of your mind. Wash your car on the lawn instead of the driveway so you don’t have to then water it as well. Don’t worry about the cleaning products harming your lawn: many car shampoos contain the same active ingredients as fertilisers and can actually be good for the grass. 2: Don’t use Water if You Don’t Need To. For example, always use a rake or a leaf blower to clear your paths: never the hose. Water may be a quick fix but using it to shift leaves to the verge is wasteful in the extreme. If you notice that one of your taps is leaking, fix it as soon as possible. You’d be shocked at how quickly a steady drip will fill a 9 litre bucket, and if left over days or weeks a drip could waste hundreds of litres of water. For a quick leak check, turn off all your taps securely then record your water metre. Come back in four hours, and if the recording has changed then something somewhere has a leak. You can conduct further diagnostics from there. Don’t water your lawn when it doesn’t need it. A few brown patches aren’t the end of the world, only turn on the hose if you think the lawn is at a serious risk of dying altogether. A good soaking every now and then will work better than light, frequent watering as it will allow the water to reach the roots more effectively. Water in the evenings so that the moisture has chance to sink into the ground before being evaporated by the daylight sun. 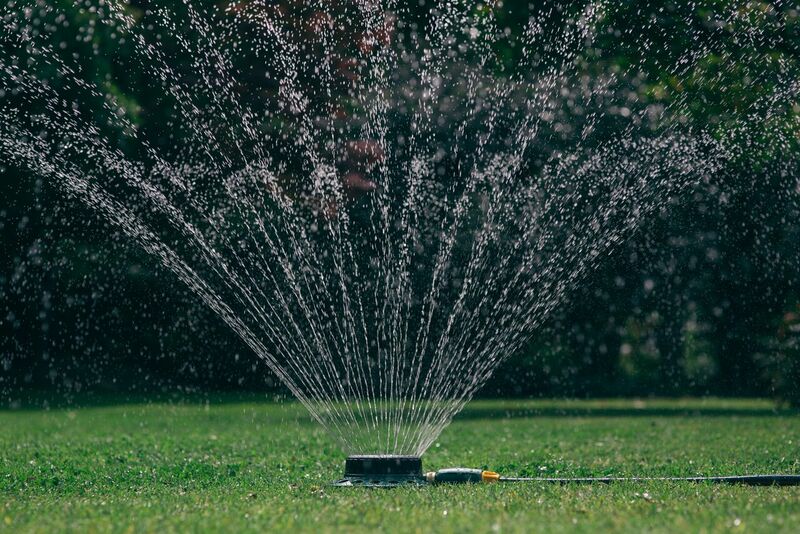 Also, if there is a lot of wind about the refrain from using the sprinkler, as it will get blown around and dissipate without sinking in as well. Native plants that are adapted to Australian conditions are crucial for savings water. Native species are used to long droughts so will put up with periods of low rainfall much better than exotic species that will keel over and die at the first sign of hardship. A good layer of mulch on your gardens will massively reduce the amount of evaporation that takes place by creating a barrier between the water and the dry air. A trickle sprinkler system just below the mulch layer is the most efficient way to water plants in hot weather. When the sky does open make sure to pause your irrigations systems. Watering on top of rainfall is an exercise in futility, so don’t even bother. Also, install a rainwater tank so you can capture the precious liquid and keep your garden alive when the rains leave once more. With a little bit of forethought you can keep your gardens alive without draining Wivenhoe dry. This useful information was brought to you by Hoselink, experts in garden watering solutions.